It’s 10 a.m., January 3, 2019. Day One on the “New Political Universe” in Washington, DC. I’m watching CNN, hoping to see the new, most diverse U.S. Congress yet sworn in. I’m especially interested in seeing Ilhan Omar, dressed in her hijab, and Rashida Tlaib sporting a much talked-about traditional Pakistan dress her mother made. They will raise their right hand and swear in using Thomas Jefferson’s Quran, rather than a Bible. I was raised Muslim, converted to Christianity in my mid 20s, and currently promote interfaith dialogue. 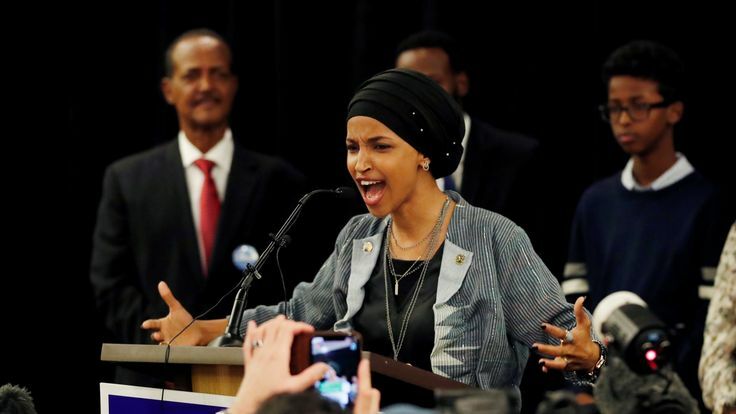 Watching Ilhan and Rashida emerge, the boldest Muslim women I’ve ever seen, warms my heart. Ayanna Presley, whose African name means “flower”, carries no banner for any religion, but as a self-proclaimed “woman of faith” she spoke love and compassion to the families of faithful individuals who were killed inside a synagogue in Pittsburg about a week before the 2018 mid-terms ushered in this historic day. I will be watching her with great interest, too. Watching Nancy Pelosi, “the most powerful woman in American politics” tells MSNBC’s Savannah Guthrie about plans to take Trump to task is interesting. A bust of Rev. Dr. Martin Luther King behind her says more to me than her interview can. It says press ever forward for justice, equality, and peace on earth. I’m excited, too, at something else Pelosi represents: older women in power in the public eye – looking beautiful. I had never seen a whole staff silenced and invalidated, this way, until now. I was shocked by my childhood hero, but I still believed she was fighting a good fight and God had sent me to The Hill to help her. “Let’s grab a cup of coffee. I’ll show you where the cafeterias are,” Octavia said when we left The Senator’s office. The halls were bustling with large groups of people, some wearing tee-shirts with slogans. Congressmen and women rushed through the corridors as their staffers scribbled notes, or read to them from documents, while keeping pace. “Oh. Here we go. We can get a free cup of jo right here,” Octavia said, pulling me into a hearing room where a reception was being held. “Not enough perks for you to stay,” I said. “Guess I better keep my distance,” I said. “You find what works for you,” she said. Describe some perks you would like to enjoy in the future.